The American Nurses Association just kicked off National Nurses Week 2017, honoring the nation’s three million nurses who are changing the face of patient care and compassion. Each year, the week kicks off on May 6th and ends on May 12th, Florence Nightingale's birthday. In recent years, healthcare IT capabilities have also started to benefit the profession by further enhancing nurses’ abilities to deliver more efficient, effective, and engaging care to patients. Health IT Outcomes recently spoke with three nurses who also work in the healthcare IT space to hear how the latest technology advances are having a positive impact on the nursing profession. Here’s what they had to say. Didier Moutia, RN, Nursing Product Manager, InterSystems: We live in an exciting time where technology is opening new doors to how we engage with patients and how we, as nurses, provide care. Technology, and in particular health IT systems, are not new. However, it is only recently health IT systems have matured to a point where they can assist to truly transform healthcare. For nurses, health IT is exciting; new tools allow nurses to better engage with patients and provide truly patient-centered care. The tyranny of distance, for example, is no longer an impediment to good care and patient support thanks to easily accessible records and telehealth systems which support virtual consultations and meetings. The ability to access information when needed and at the point of care leads to more efficient service delivery, but also better decisions by nurses and better outcomes for patients. An example is community nursing, which historically struggled to have access to information in the patient’s home. Thanks to improved data networks and web based health systems, nurses have all the information they need when providing care in the patient’s home. Of course, the most exciting advances have to be in the area of decision support. For nurses, the benefits of health IT extend well beyond simply data retrieval and input and into the realm of knowledge management. Knowledge in health is increasing exponentially and clinicians find it challenging to keep up to date with the latest research and best practice guidelines. Decision support tools now provide nurses support when making decisions and at the point of care. For example, patient alerts and automated care planning help to guide practice and improve the clinician’s knowledge. We are now emerging into an exciting era for nurses, where the health IT system on a tablet is as essential to clinical practice as is the humble stethoscope. Susan McCready, RN, Product Innovation Specialist, InterSystems: Healthcare technology is strengthening the collaboration between patients and nurses. When a nurse has visibility into shared care plans that include the patient’s preferences, he or she can hear the patient’s voice, even when that is not physically possible. That is especially important for palliative care and end-of-life care. Ironically, advanced technology is helping to satisfy the very basic human need to be heard. Nora Lissy, RN, Director of Healthcare Information, Dimensional Insight : Technology has and will continue to enhance nurses' ability to deliver safer, faster, higher-quality care to patients. 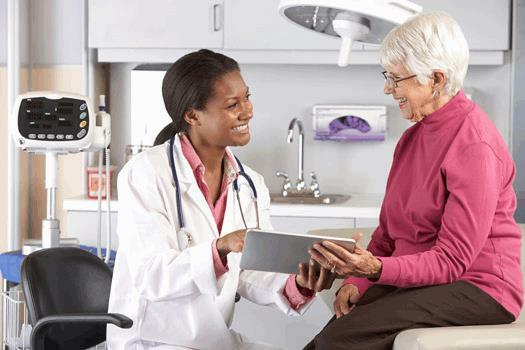 As a result of universal EHR adoption, nurses now have a central location where accurate and actionable patient data is stored and can be accessed by any member of the care team. With greater volumes of data also becoming available from multiple health information systems, and being aggregated and analyzed in real-time, nurses have the ability to access deeper data-driven insights, which ultimately drive better patient care delivery.